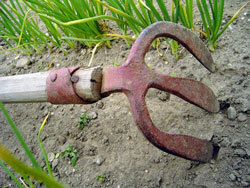 Welcome to the November edition of Terroir Seeds Gardening Tips. We have been hard at work behind the scenes and have some new and neat things to share with you this time! We are pleased to present the first look at the 2012 Heirloom Seeds Catalog cover. If you have not made a purchase yet, and have not signed up for our annual catalog, please click on the link to do so. The printed catalog should be in your mailbox just after Christmas, and the electronic version will be posted on our Catalog Page after the first of December. 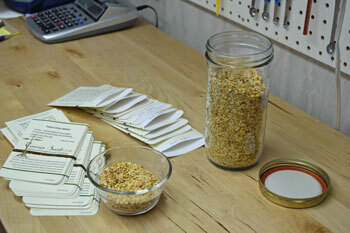 The past couple of months has been very busy here, getting ready for the coming seed season. One of the largest projects that is now coming into completion is our new website. From our conversations with many of you, we found that the information such as the germination guide, Garden Journal, gardening tips, soil building articles and recipes were getting lost or not being found. Thus the need for a new, easier to use website. 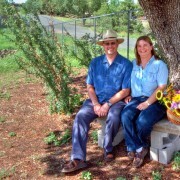 We kept the same web address- www.UnderwoodGardens.com– and organized the information better. The store is accessed from the main page, with drop down departments to make getting where you want to easier. 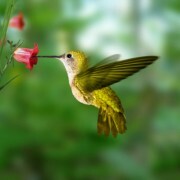 Recipes and gardening articles and tips are at your fingertips now. Please take a look and spend some time getting to know how everything is laid out, then let us know what you think of it. We are finishing installing the Garden Journal and germination guide. We’ve incorporated your suggestions and comments, but need to know if there is more that you need. Let us know your thoughts by dropping us an email, or calling us at 888-878-5247. Have you ever wanted to see what was arriving at a seed company before it was in the seed catalog? Did you ever wonder what the new offerings would be for the next year, so you could get a head-start on your garden planning? Us, too! One of the big advantages of being a small, family operated seed company is we can make these decisions and let you in on the fun. It is a lot of fun, but also a lot of work to see the new seed stocks arriving, getting them sorted and inventoried, the packets printed and then packed and ready to go online. This year, instead of slipping new items into the online store, and waiting for the catalog to go out to announce them, we decided to showcase them in one place, for everyone to see and share in our fun. All you have to do is simply click on the New Varieties photo from each of our departments in our Heirloom Seeds Store. Remember that we are a small family company, so things will be added continuously as we get them ready to go online. Check back often to see what new things have been added! As the weather turns colder here, and in most parts of the country, we look to soothing, warming dishes for dinner. We try to use seasonal vegetables and ingredients, as they have the best, richest flavors. This has been a favorite soup of mine for many years. It is one of those simple, adaptable soups that too often gets overlooked, partly because it is so familiar. People that haven’t had this in years will fall back in love with it after tasting it again. We have presented a couple of variations on this most ancient of winter soups. 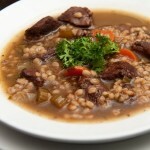 Read about Beef, Barley and Root Vegetable Soup. This makes a special, memorable dinner when paired with Black Powder Buttermilk Biscuits! The remarkable book Field and Garden Vegetables of America by Fearing Burr was one of the first gardening treatises written in 1863 for the American Gardener. The subtitle is “Containing the full descriptions of nearly eleven hundred species and varieties; with directions for propagation, culture, and use; illustrated”. We love old books because they always tell you what you are going to be reading in full detail right on the title page! We thought we would share with you a little history of an heirloom from the past. This is a book that has been referenced in many writings and we has been on our list to acquire for a few years. We were lucky enough to find an older reprint in good shape at a reasonable price. 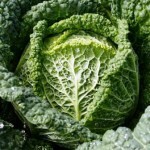 Read more of what Fearing Burr had to say about the Savoy Cabbage– in 1863! Yes, we know, it isn’t even Thanksgiving yet and here we are talking about gifts for the gardener in your life, or hints to give to your family. We will only talk with you two, maybe three more times before Christmas, so we have to start now to give everyone time to think and choose. 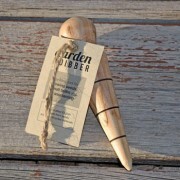 We have assembled a thoughtful selection of gifts that will work for a broad spectrum of gardeners and budgets. From a comprehensive package to get someone off to a perfect start, to gift certificates and gift memberships, to kids gardening, we have your bases covered. Everything is of the highest quality and are items we use ourselves on a daily basis. 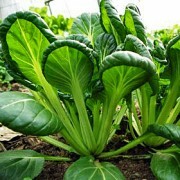 Visit our 2011 Holiday Gardening Gift Specials section to get started.